Travelex has launched Supercard, a MasterCard and mobile app combo for UK travellers to avoid debit/credit card roaming fees and charges when spending abroad. Supercard will be chip and PIN protected. The security aspect will be taken care of by a payments firm Wirecard. Following a successful pilot, Supercard is now offered to the UK public, says Travelex. Customers will link their credit or debit card to their Supercard so there won’t be any need to top up. 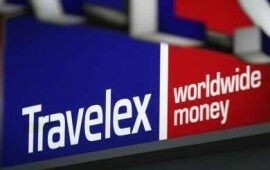 Furthermore, they will continue to benefit from any card reward points they usually earn, assures Travelex. The offering does not support American Express, however. Users will be getting the MasterCard wholesale exchange rate. Travelex will not be adding any additional fees or charges when the card is used outside the UK. However, as Supercard is designed to be use abroad, fees and charges will be applied if used in the UK. Travelex describes the application process as “simple, with no credit checks”, although it adds that “know your customer” (KYC) checks and identity confirmation will be carried out. Customers have to download the app (available on the iOS and Android devices) and register. The card will be sent by post, and once the customer receives it, he/she has to link the existing UK debit or credit card to it. This is done via the app. Customers will be able to track their spending via the app “with almost instant updates” and check “approximately how much they save”. A 2.99% fee will be added to all foreign ATM withdrawals. Sean Cornwell, Travelex’s chief digital officer, comments that his company is “on a mission to help our customers break down the borders that limit them from living internationally”. Not singing as such, more of a contract signing. Expanding collaboration by enabling users to top up smartphone account without minimum purchase requirement. Deal means users can add digital boon cards to SwatchPAY!